Honey Bee Trim Tray Complete Kit - FREE Shipping! With The Honey Bee Trim Tray you get two useful products in one. Works excellent as a ultra-light laptop trimming surface and pollen sifting collection device. The Honey Bee Trim Tray has the perfect design that gardeners have been looking for. A dual-use tool with a screen that will collect the pollen below while you trim your flowers on the tray's surface. Working upright can save you from the back pain associated with trimming in a poor posture. The way you trim will determine how much stress you put on your back. Trim upright with the Trimtray in your lap for best results. 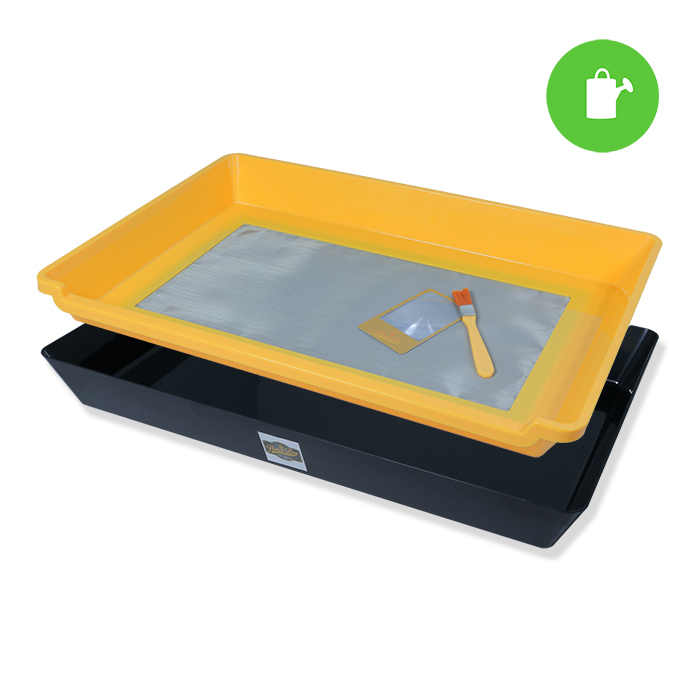 Our trays feature a comfortable nonslip base, 150 micron stainless steel screen and a pollen application brush.